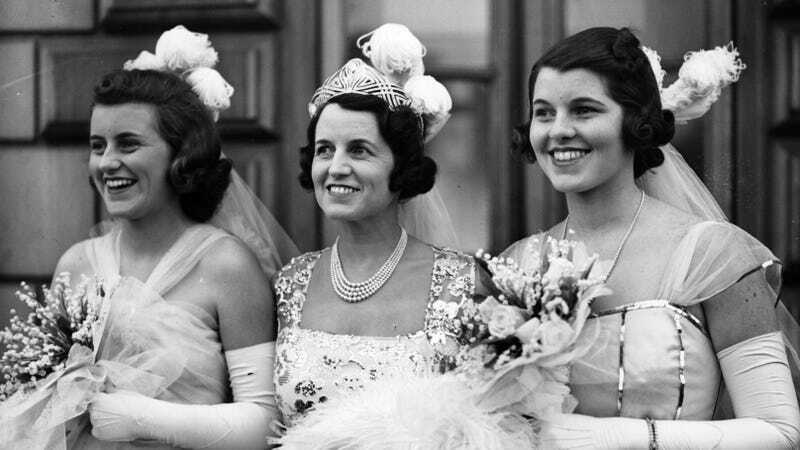 From right to left, Kathleen, Rose, and Rose Marie Kennedy in 1938. Because there’s never enough Kennedy content. The script tells the story of Rose Marie “Rosemary” Kennedy, the first born daughter to Rose Fitzgerald and Joseph Kennedy, Sr., and the eldest sister of President John F. Kennedy and senators Robert F. Kennedy and Ted Kennedy. After displaying behavioral problems that caused her to fall behind accolades of her siblings due to a mental disability that was long kept secret, Joseph Kennedy arranged one of the first prefrontal lobotomies for her at age 23. The procedure failed and left her permanently incapacitated. “The spec, written by first timer Nick Yarborough, will take a look at broad look at the moments leading up to the procedure and how it affected the family going forward,” Variety adds. Now, where’s the documentary about Jackie O’s days as a book editor and the tear-jerker about Kick Kennedy?